We recommend you keep a copy of terms and conditions for your future reference. You hereby understand and agree that all content on the site, including but not limited to designs, text, graphics, information and all other files are the proprietory right of the Vinrak Technologies Pvt Ltd. with all rights reserved. Provided that the you are eligible to use the Site, Vinrak grants you a limited license to access and make personal use of the Site and the Service. You do not have the right to modify, copy, distribute, reproduce, republish, download, display, post, transmit or sell the content of on the Site without prior consent from the Company. You may not bypass any measures put in place by Vinrak to prevent or restrict access to the Site. Any unauthorized use of the Site Content, without the prior written permission from the Company, shall result in termination of the license granted herein. Use the contents of this Site for any commercial purpose. Use any automated means to access, monitor or copy the contents of the Site using robot, spider, scraper or any automated means for any purpose without prior written permission from the company. Make any fraudulent or speculative transaction. Carry out any action that would impose or may impose an unreasonable or disproportionately large load on Vinrak's infrastructure. Use any part of the Website, without prior written permission from the Company, on any other website. By posting content on the Website you automatically grant the Company an irrevocable, perpetual, non-exclusive, transferable, fully paid, worldwide license to use, copy, publicly display, reformat, translate, excerpt and distribute such User content for any purpose on or in connection with the Site or the promotion thereof, to prepare derivative works of, or incorporate into other works, such User Content, and to grant and authorize sublicenses of the foregoing. You may remove your User Content from the Site at any time. If you choose to remove your User Content, the license granted above will not expire. You shall be solely responsible for any damages resulting from any violation of the foregoing restrictions, or any other harm from your posting content to this Site. GoldUno's display on or through the website of loan product options offered by third parties does not in any way imply, suggest, or constitute any sponsorship, recommendation or approval of GoldUno of any such third parties or their products. 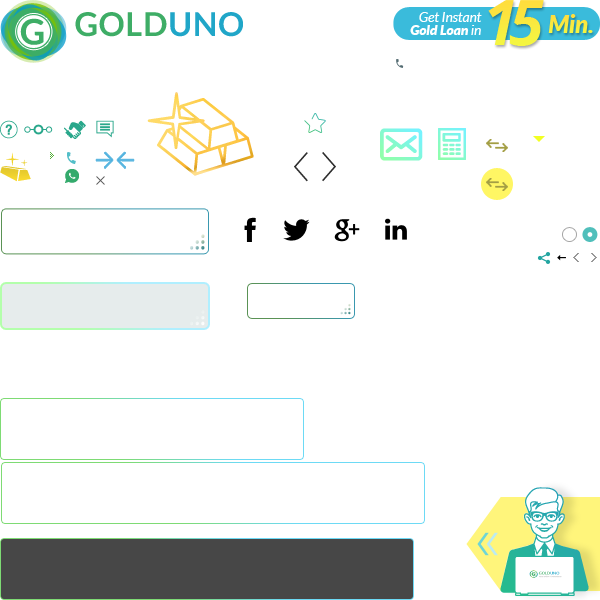 GoldUno does not, through its Website display content or in any other manner, provide any recommendation, opinion or advice to you on the third parties or their loan products. You agree that GoldUno is in no way responsible for the accuracy, timeliness or completeness of information it may obtain from these third parties. Your interaction with any third party accessed through the Website is at your own risk, and GoldUno will have no liability with respect to the acts, omissions, errors, representations, warranties, breaches or negligence of any such third parties or for any personal injuries, death, property damage, or other damages or expenses resulting from your interactions with the third parties. any damages to or viruses that may infect your computer equipment or other property as the result of your access to the Website or your downloading of any content from the Website. The limitations specified in this section will survive and apply even if any limited remedy specified in these terms is found to have failed of its essential purpose. The limitations of liability provided in these terms inure to the benefit of Vinrak, Its Affiliates, and/or their respective suppliers. GoldUno and other Company graphics, logos and service marks displayed on the site are registered trademarks and are the property of Vinrak and other parties. The Company’s trademarks may not be used, including as part of trademarks and/or as part of domain names, in connection with any product or service in any manner that is likely to cause confusion and may not be copied, imitated, or used, in whole or in part, without the prior written permission of the Company. Why gold is considered a 'safe-heaven'? Why to invest in Gold? Gold Loan vs Personal Loan! !